You deserve to be happy with your smile and just as happy with your family dentist. 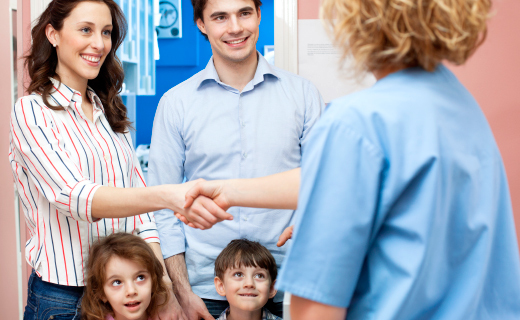 You need to develop a bond of trust and feel comfortable at your appointments. If you’re looking to change your dental care, try these brilliant ideas to find an affordable dentist who’s right for you. Do you need to find a new dentist because you’re moving away or in the mood for a change? Well, the first step to finding a family dentist is to ask around for recommendations. If a dentist has good word-of-mouth, then you can trust them to take good care of your mouth. Speak to your family and friends about their family dentist. Welcome dentist referrals from neighbors. Ask for recommendations from your family physician or pharmacist. Inquire with your insurance about an affordable dentist who accepts your dental coverage. When you want to find a dentist, it’s smart to contact different experts to discover all of your options. See, each family dentist has their own ways of treating and tending to patients. That’s why you must personally speak with the dentist, learn about the practice, and then trust your personal instincts. 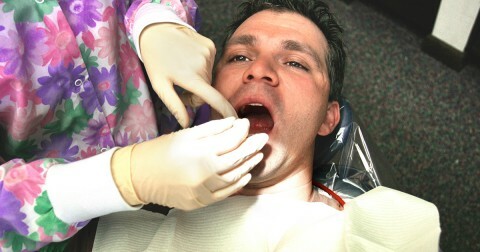 The dentist clearly explains dental techniques and options to ensure the patient’s comfort and understanding. The dentist offers a comprehensive range of services, including preventative, maintenance, and corrective care. The dentist’s office is clean and well organized. The dentist has a convenient location and a suitable appointment schedule. The dentist has special policies for emergencies. There is full disclosure about fees, insurance accepted, and payment plans, particularly if you require an affordable dentist. A good dental relationship is based on trust and comfort. Once you find a dentist you’re comfortable with, you’ll enjoy healthy dental rewards.